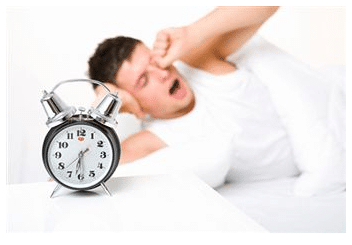 Help Avoid the "COUGHequences" with Robitussin | DaDa Rocks! There are few medicines that I ever take… I’ve always hated the taste as a kid and I can barely take a pill without a gag reflect (I don’t know) I’m weird like that… so early on I kind of found my way to Robitussin®. Of course it’s always done the job that I have needed it to do… Robitussin has effectively treated cough, cold and flu symptoms for more than 50 years, and is doctor recommended and the #1 pharmacist recommended brand among cough, cold and flu liquid combination products. Like many this season, I got sick (and not just in terms of the amount of snow)….and I turned to Robitussin to help me feel better. I think the worst part about being sick is when you cough so much at night you can’t sleep—and Robitussin can obviously read my mind. New this season, Robitussin has introduced a maximum strength DM nighttime formula to control cough to help you get the sleep you need to feel better. Of course once I get a cold I get a cough – fun fact – up to 50% of people who have a cold will develop a cough. The worst is that a prolonged cough could cause some serious issues like chest pan, exhaustion, light-headedness, and well you certainly won’t be popular at work or in social settings. 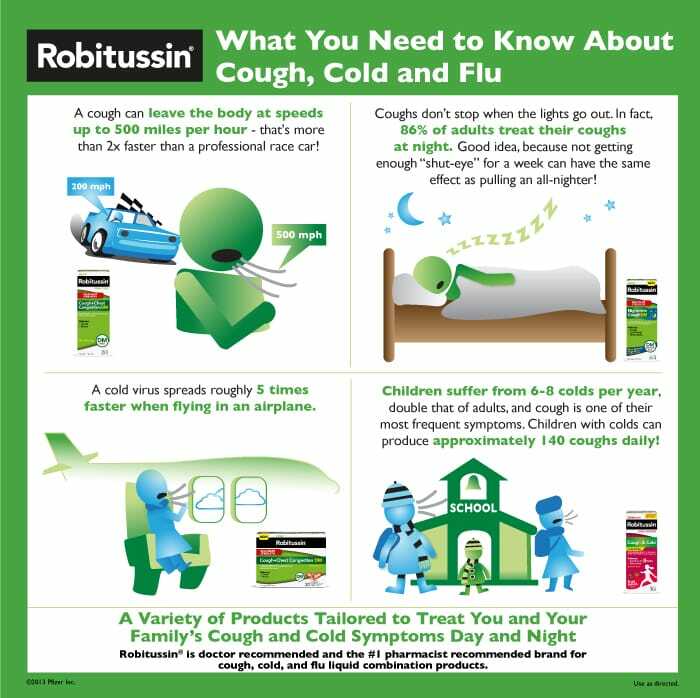 Thankfully, to help families avoid the “COUGHequences” of cold and flu this season, Robitussin has a variety of products tailored to effectively treat different symptom combinations. Prevalence: At the peak of the 2012-2013 cold and flu season, nearly 50 million adults and children experienced cold and flu symptoms – that’s six times greater than the population of NYC! Most adults have 2-4 colds per year, while children average 6-10 colds annually. On average, 5% to 20% of the population gets the flu annually. Visit www.COUGHequences.com to see the consequences of not treating your symptoms, and the benefits of treating with Robitussin. Watch the COUGHequence videos and you’ll be entered to win one of three sweepstakes – including a $10,000 trip for two! I have been living on Robitussin this winter. I hate taking medicine too, but their products really do work.